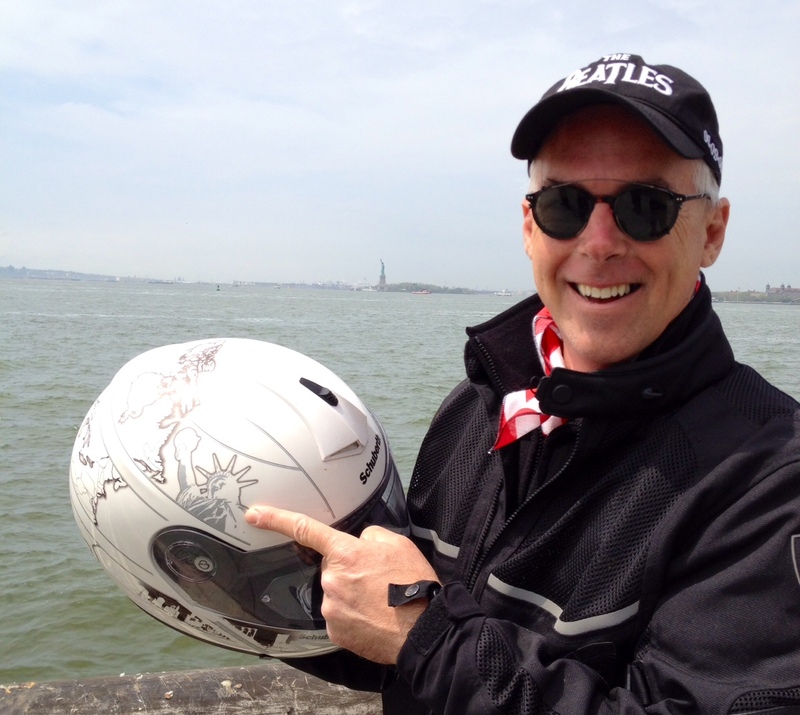 Finding Cannon Ball’s Trail: The Riders Arrive In NYC! 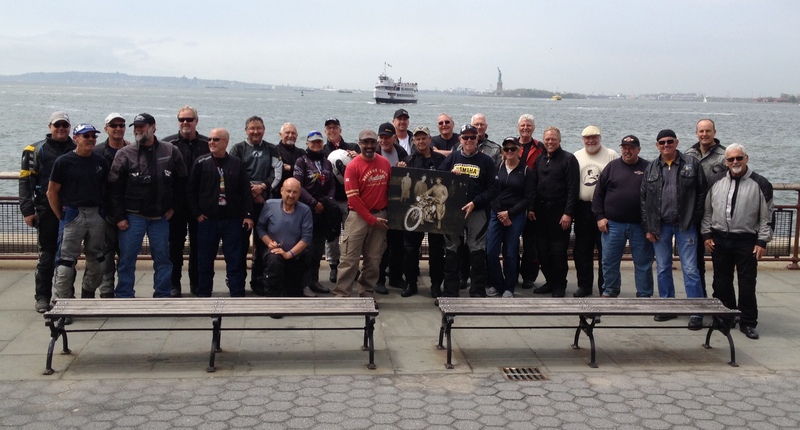 Riders in the “Finding Cannon Ball’s Trail: Centennial Ride” arrived in New York City’s Battery Park today, as scheduled, at the completion of their 3,000-plus mile ride from San Diego. The ride, more than three years in the planning, made an effort to follow – as closely as now possible – the route that Erwin G. Baker took to set the trans-continental speed record on a motorcycle 100 years earlier. Exactly 100 years earlier, to the day, Baker had ridden into Manhattan at the conclusion of his epic journey. Crew shot at Battery Park in Manhattan. Baker’s ride on a seven-horsepower Indian twin took 11 days plus 12 hours, and cut the existing motorcycle record nearly in half – as a bonus, he also beat the car record by more than four days. His feat earned him the nickname “Cannon Ball” from journalists, who likened him to an unstoppable Illinois Central Railroad train of the same name. The sobriquet stuck, and remained with him throughout his life, as he went on to set more than 140 international speed records over the course of his legendary career. Thanks so much, Bob! Ride On!